Workshops are a great way to network and hone your travel writing skills. The best part is rubbing elbows with some of the industries best writers, editors, and publishers. Grab your notepad, laptop, pen, and schedule a workshop today! What: A comprehensive marketing & sales workshop for travel writers of all levels. An exclusive three day intensive program by acclaimed writer and author Roy Stevenson that will help you with the most important aspect of a writing career – which is getting paid! Seminars about the craft of travel writing are a dime-a-dozen. But until now, there’s never been a workshop specifically designed to show you how to sell your travel stories…..Most travel writers and bloggers struggle with querying and pitching their travel stories. And they have very little idea where to sell their articles. 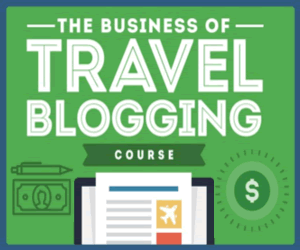 The Complete Travel Writing & Marketing Master Class will radically improve your sales and marketing learning curve, and you’ll sell more travel articles. Workshop participants will experience a luxurious blend of comfort, fascinating cultural activities, culinary delights, soft adventure and serious (but fun) in-depth instruction on exactly how to pitch, sell and write your travel stories. Travel Writing On Location offers travel writing workshops and tours in top destinations around the globe. Each travel writing workshop is designed to provide two things — the skills you need as a travel writer and an extraordinary travel experience to write about. Travel Writing On Location provides not only classroom learning, but on-the-job experience. With our professional guides, you’ll tour the destination— visiting local attractions, interviewing experts, and experiencing the culture— while learning the travel writing skills you need. Taught by seasoned travel journalists, Travel Writing On Location workshops provide instruction on writing technique, online publishing, photography, social media and the travel writing business. Try Travel Writing. Learn everything you’ve ever wanted to know about travel writing during our workshops held across America – and the globe. Taught by professional full-time travel writers and former university professors, these three-day workshops will help you access travel writing as a creative hobby or potential profession. Our experienced and successful writing and photography instructors will teach you to identify good story angles, conduct interviews, try out various story forms, find your writing voice and take photographs that will help you tell your story. Seminars also will include tips on selling or self-publishing your work, and the best work from among the participants will get published on our blog and in other potential outlets. Gotham Writers’ Workshop. One-day workshops are fun, fast-paced immersions in all types of writing. A great mixture of brief lectures that hit the high-points and writing exercises that let you immediately try your hand at what you’ve just learned. Come in on the weekend with a notepad, pen, and desire to learn. By Monday, you’ll be a more knowledgeable and skilled writer. Secrets of Paris Workshops. Spend five unforgettable days in the City of Light learning the craft of travel writing through daily lessons and hands-on experiences in the field with professional travel journalists. 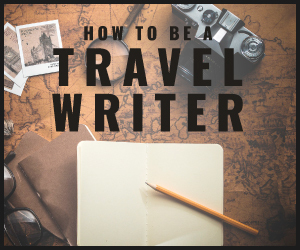 You’ll come away with priceless insider knowledge you can use whether you’re looking to pursue a career in travel writing, earn extra cash with your personal travel blog, or simply plan your next vacation with the discerning eye of a travel pro. There are three workshops scheduled for 2016 in May, August, and October. NOTE: this workshop has been UNLINKED because 2017 Dates have not yet been announced, we’ll update this as soon as we have info – if you want to signup to be notified directly, visit the Secrets of Paris Homepage, there’s an email signup link there. Book Passage. The Book Passage Travel Writers & Photographers Conference is held annually in Corte Madera, California, and offers a number of great workshops in various disciplines. The conference has an extraordinary reputation among publishers, editors, and writers, and draws its faculty from among the best in each discipline. Workshops, panels, and evening activities are available. The Travel Writers Life. With ongoing workshops held in various locations, you can learn how to enhance your travel writing and sell photos. They also offer a FREE e-letter. Sign up for it now! The Writers Workshop. Workshops are either online, in Seattle, and classes around the world. Check the website for the dates. Media Bistro. Offers a number of online travel writing classes and workshops. Check their website for dates and locations. Writers.com. Longtime instructor Amanda Castleman teaches her classic Travel Writing: From Press Trips to Punctured Tires roughly four times each year. Students may then progress to Advanced Travel Writing with Edward Readicker-Henderson or Amanda’s Ongoing Travel Writing Workshop (with occasional assistance from Edward when she’s on the road). Amanda has been honored by the Society of American Travel Writers.